Die Vollversion Apple Video Converter Factory Pro jetzt günstig kaufen und downloaden – mit Gutscheinrabatt! There is no doubt that playing videos and music files on Apple devices are great. However, for video/music lovers, if we want to enjoy videos and music on our Apple devices more randomly, we have to overcome the problem of video/audio format compatibility. Apple Video Converter Factory Pro is a right choice for us to solve the video/audio format compatibility of Apple devices. It is all-in-one apple video conversion software convert nearly all popular videos to iPad, iPod, iPhone and Apple TV compatible videos. Moreover, this Apple video converter is very easy-to-use. With it, you can convert videos/audios to Apple devices compatible videos with just 3 mouse clicks. 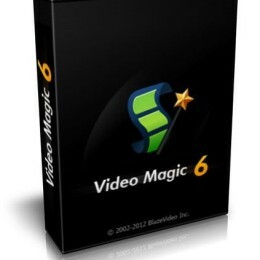 What's more, the Apple video converter provides powerful video editing function and video effects. You can craft your own videos with the help of the powerful video editing and video effects function. The better – up to 50X faster conversion speed than other converters. Wenn ein Rabatt oder ein Gutscheincode für Apple Video Converter Factory Pro verfügbar ist, zögern Sie nicht, denn die Aktion könnte plötzlich zu Ende sein. Reagieren Sie jetzt, klicken Sie auf den "Jetzt kaufen"-Button. Wenn Sie Apple Video Converter Factory Pro ausprobieren möchten, holen Sie sich die kostenlose Download-Testversion! Klicken Sie den Button unten an.